Johan Vermeulen, second right, Isuzu Executive Manufacturing and Supply Chain, shakes hands with Roger Goliath, Manager, Nelson Mandela Bay Municipality (NMBM) Fire and Emergency Services at the handover of the new fire fighting vehicles. With them are Hilton Hing, NMBM Deputy Director Fleet Management, and Mike Pienaar, Kanu Chief Operations Officer. Whenever I see a ‘fire-engine’ I get excited. That’s because when I was young, I dreamed that one day – when I was big – I would be the man who hangs on the back of a fire-engine as it screeched around corners on the way to douse a fire and save people as they jumped into my arms from burning buildings. Unfortunately, my career took a different turn when I discovered journalism but I still get a thrill whenever I see one of these beautiful red machines writes Patrick O’Leary. 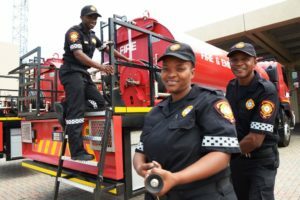 I’m sure the fire-fighters from the Nelson Mandela Bay Municipality (NMBM) Fire and Emergency Services experienced an even higher level of excitement when they set eyes on their new fire-fighting vehicles which were locally built at Isuzu Motors South Africa’s Port Elizabeth truck plant. The ‘fire engines’ – as we used to call them – was built on an Isuzu FXZ 26-360 6×4 fitted with an Allison 4430PR automatic transmission and was modified at Isuzu’s subsidiary, Kanu Commercial Body Builders in Marksman Township. Ready to fight fire with their new Isuzu FXZ 26-360 6×4 fire-engine are, from left, Nelson Mandela Bay fire fighters Vuyo Marele, Doreen Jim and Mteza Mqopi. 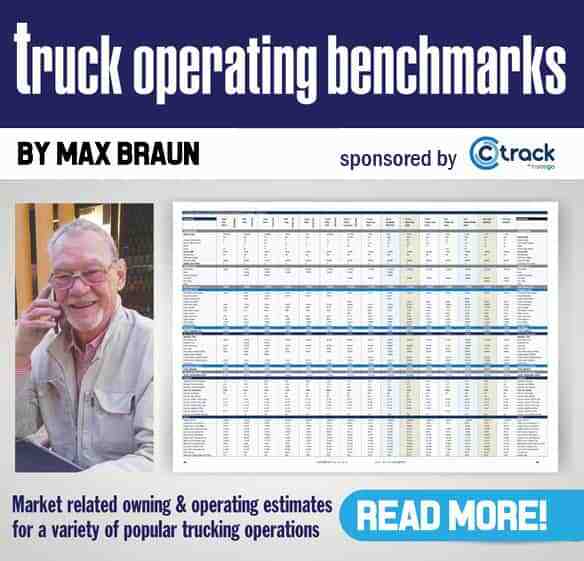 “The conversion included the truck being fitted with a 13 500-litre water tank, high pressure pump equipment, two hose reels, fire-fighting equipment and a host of other items,” says Michael Corney, Kanu general sales manager, adding that they are able to operate in rough terrain and will help fire fighters access challenging areas. 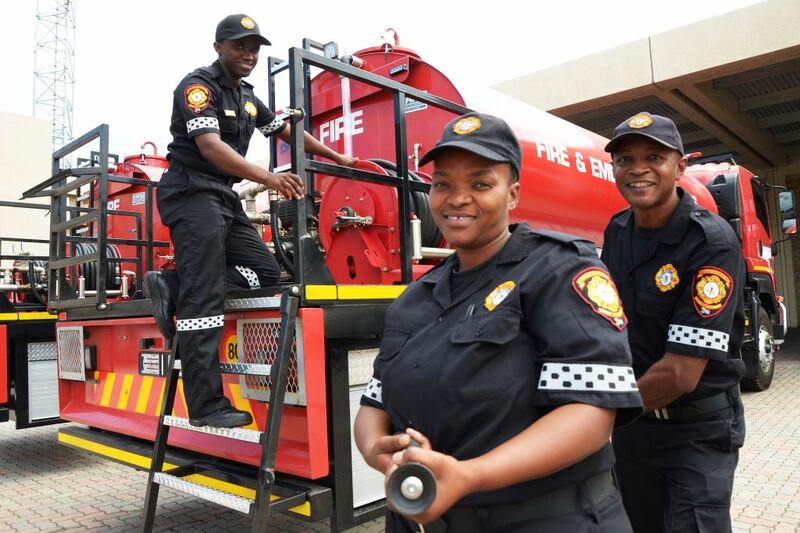 While being the first fire-fighting water truck of its kind supplied to the Nelson Mandela Bay Municipality by Isuzu and Kanu Commercial Body Builders, it forms part of an on-going supplier partnership with the local government of the city where Isuzu Motors South Africa’s bakkie and truck production plant is situated. 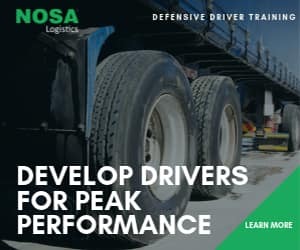 “We will continue to work with various departments within the municipality to advise on product solutions that are best suited for their needs,” says Corney. 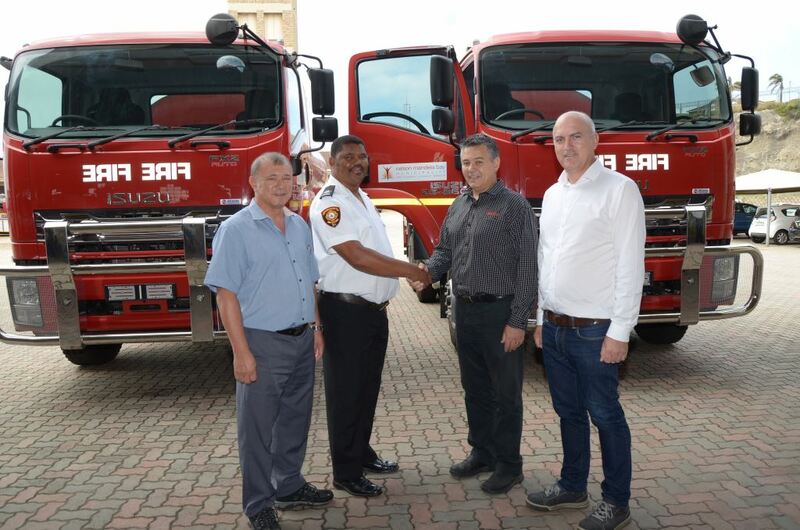 “The success of Isuzu Motors South Africa with this acquisition and the fact that these specialised vehicles are able to negotiate much tougher terrain than normal fire engines, will assist our brave fire fighters in their continuous quest to keep our citizens and property safe,” Baron says. I wonder if they will take me on a ride to live out my childhood dream and hang on the back of one of those magnificent machines. Not sure I’d be up to catching anyone from any buildings though.